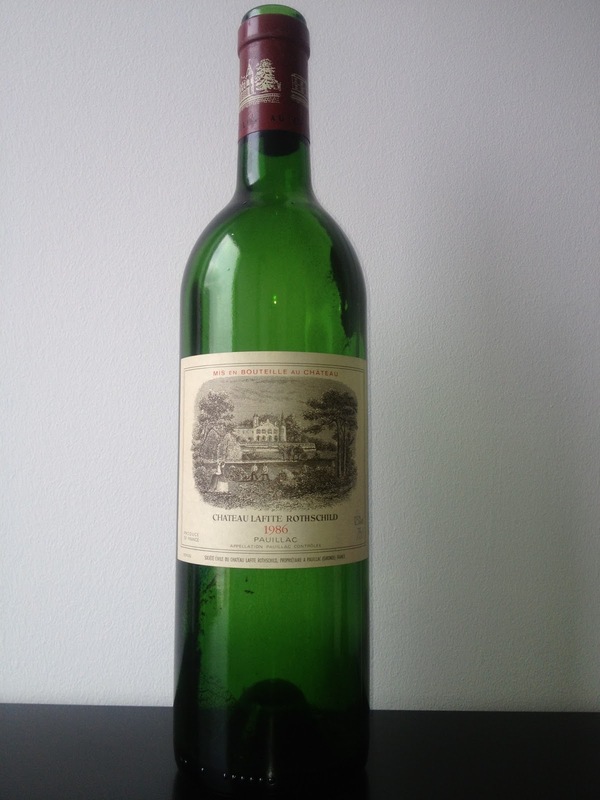 Well what can I say about Lafite Rothschild that hasn’t already been said? Not much it would seem! Although I have dubbed it “The smiling wine” as quite simply put, every single sip from the glass made me elated with joy and caused me subsequently to grin like a Cheshire cat. It is the connoisseur’s wine of choice and now, I understand why. Although I have drunk lesser vintages before such as the very hard 1994 ( nearly 100% Cabernet Sauvignon and a good wine, although pretty much uninspiring if I’m honest),I had never had the pleasure until now, to taste one of Lafite’s better vintages. I think that any wine fanatic like myself should find the time( and the money!) to taste at least one good or great vintage of Lafite in their lifetime. I had a eureka moment with this bottle and I remember it vividly. It was along the lines of “Ah this is what all the fuss is about” or “Now I understand why these wines command such high prices”. Lafite’s director Christophe Salin describes the wine as being so elegant, approachable and drinkable, “that you will have a problem, as your guests will always want more”. I had this problem. The wine was certainly approachable, almost too approachable and I can comprehend what Christophe was talking about. So much so that I needed to purchase a magnum to satisfy the thirst of only four guests drinking the Lafite 1986. "The Lafite 1986 really sings on the palate"
Nose: Classic notes of cedar (more so after a few hours) and yet quite floral. Very pleasant on the nose indeed. Palate: Plenty of dark fruit and cassis. A fantastic length of palate with flawlessly integrated silky smooth tannins. This is a wine to remember that just oozes sheer class I cannot overstate that enough. Comments: Really sings on the palate with subtle elegance, it’s good. In fact it’s very very good without being overstated, brash, bold or in your face. The Frank Sinatra of wines. I prefer wines like these, the wine almost knows it’s so good it doesn't need to shout about it. It just is! Sheer elegance, class and good taste personified. For me it is well up there with Pichon Lalande 1982 (my favorite Bordeaux thus far) if not better if that’s possible?